Are you a busy Mom? Do you need to be able to move quickly, snugly and securely with your baby between the house, the car and everything you need to get done in your day? It's just like a high quality polar fleece winter puffy warm jacket that you would get from an outdoor store. It provides your loved one the ultimate protection from the frigid cold temperatures. This is the very warmest solution for the baby on the go with its increased inner fill and fleece lining to keep your baby toasty warm. The unique dual zipper design makes it super easy to get your little loved one in an out of your baby carrier. 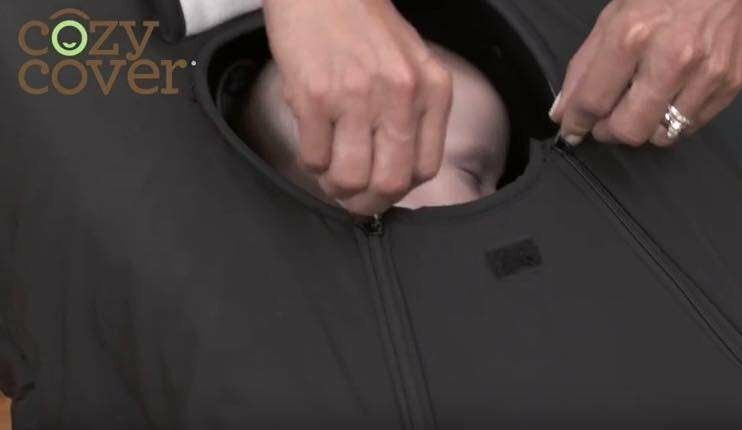 The zips then close to seal your baby in for durable weatherproof protection. 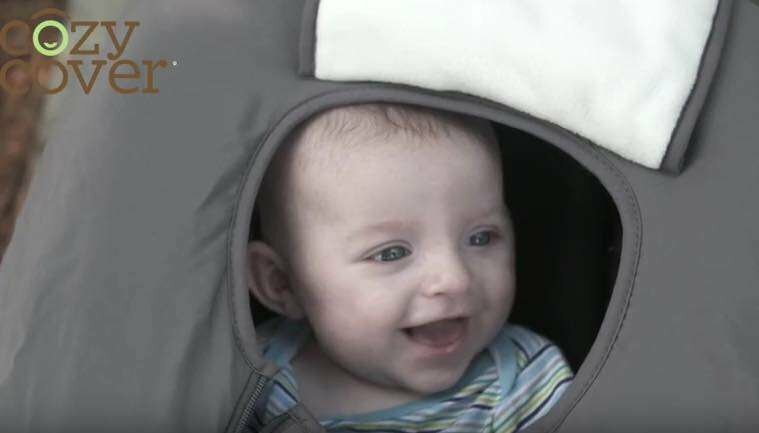 The breathable pull over flap shield baby’s face for additional coverage when needed. Surely I'm not the only Mom around with a dribbler/drooler : ) and also messy baby puke accidents happen to all of us. Many Moms like you and I have more than 1 Premium Cozy Cover Infant Car Seat Carrier Cover. One can be in the wash while the clean one is on the infant car seat carrier. 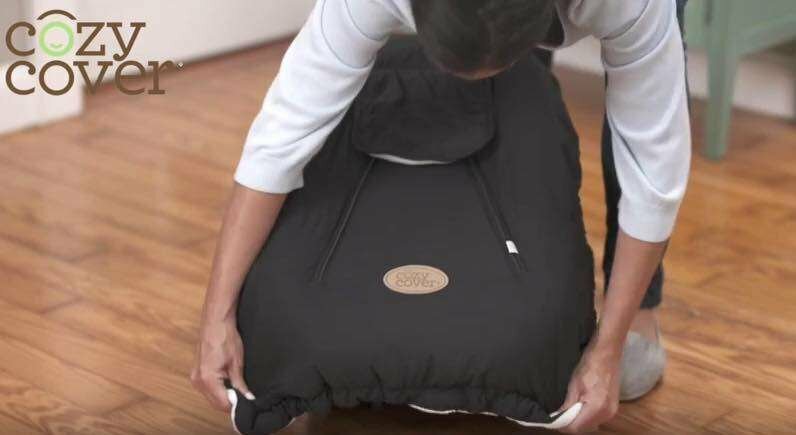 We have now seen hundreds of thousands of babies use the Premium Cozy Cover. 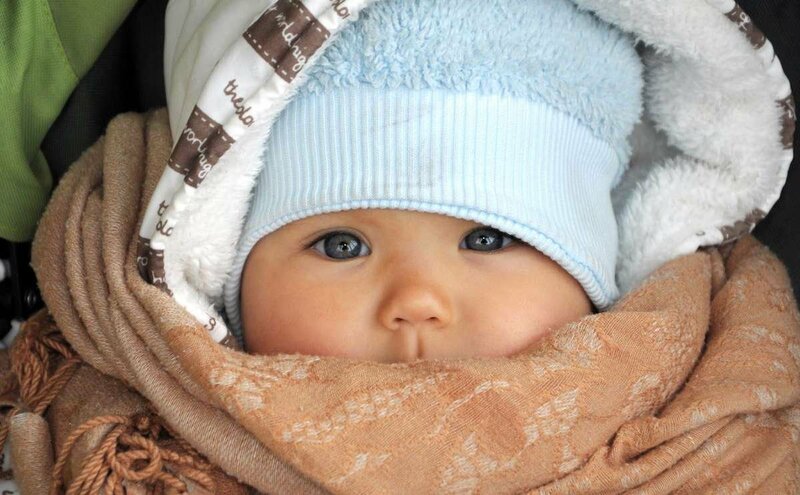 What we have found is that you will have a happier, more smiley baby with less tears because they have room to move and are not restricted by excess layers of bulky winter clothing. The unique “Shower Cap” style allows for easy use when using your Cozy Cover. The elasticized edge allows for you to gently stretch the Cozy Cover around the infant carrier. One of the most important features is that the Cozy Cover DOES NOT interfere with any of the child safety straps which is recommended by car seat specialists everywhere. With a wide range of fashionable colors we find many Moms mix and match to have a new fashionable fresh look on the go. The Premium Cozy Cover Infant Car Seat Carrier Cover is the warmest, fastest solution for providing warmth to your baby in his/her baby carrier. 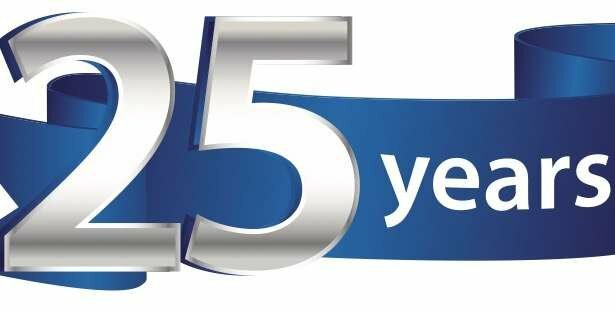 It will save you time and hassle. When you think about what your time is worth and how busy you are - don't delay, grab yours today!